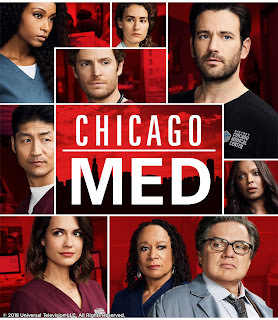 PHILIPPINES (April 5, 2018) – Chicago’s modern-day heroes are back to save more lives in the latest season of the medical drama Chicago Med, which returns on Sony Channel this April. In the season premiere, things turn complicated for the doctors and nurses of Chicago’s state-of-the-art trauma center as Dr. Charles (Oliver Platt) prepares to testify against his shooter after he was shot outside of the hospital. Dr. Rhodes (Colin Donnell) worries about Robin’s behavior at home after her release from a rehabilitation facility. Dr. Manning (Torrey DeVitto) and Dr. Halstead (Nick Gehlfuss) confront their feelings for each other once and for all. Meanwhile, Dr. Choi (Brian Tee) and April (Yaya DaCosta) try to conceal their new relationship at work. Dr. Bekker (Norma Kuhling) gets off on the wrong foot with Dr. Rhodes when she poaches one of his patients. Chicago Med Season 3 premieres on April 30, and airs every Monday at 8.50pm.